The Toys Your Children Want, at Prices You’ll Love! For superior products and an extensive selection, more people trust Millsons Toys for all of their quality children’s toys and accessories. We offer one of the most comprehensive lines of today’s most popular children’s toys and games, all designed to meet the needs of your children and their wondrous world of play. When you want friendly service, quality selection and competitive prices, shop with Millsons Toys; our friendly staff is standing by to serve your needs. Regionally headquartered in Essex, UK and serving the international online shopping community, Millsons Toys was founded in 2001 under the principle of providing today’s children with the toys they want the most while giving their parents a higher level of service and support that you just won’t find anywhere else. We are committed to customer satisfaction and it shows in everything we do and every toy we sell. We are a family owned and operated business and we strive to give you our best with every order.Giving you the best service is what sets us apart from the competition and we want you to know that if something does happen to go wrong with your order, we promise to make it right; you have our word on it. From puzzles, games and educational toys, to dolls, action figures and more, Millsons Toys has you covered. Our secure checkout page ensures your personal information is safe and our fast, free UK shipping ensures your order arrives quickly and safely right to your doorstep. We offer competitive pricing, friendly service and some of the best products you’ll find anywhere. Shop with us today and experience the difference quality and service can make for you. 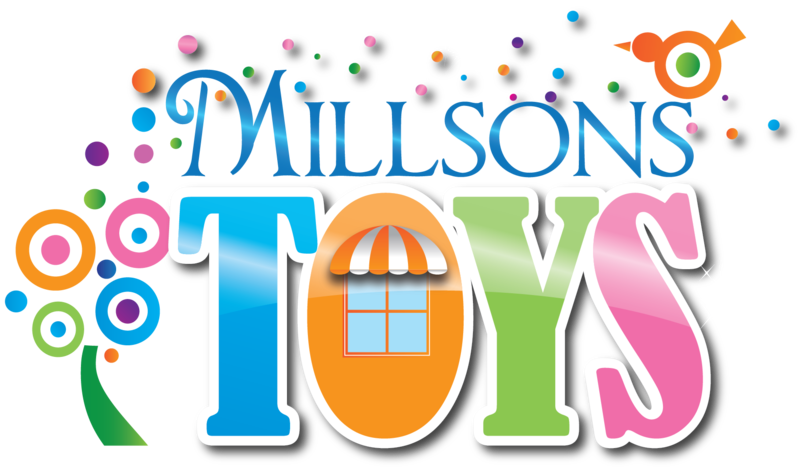 To learn more about Millsons Toys and our extensive collection of children’s toys, games and accessories, contact us and let one of our friendly, knowledgeable representatives assist you with your order or product selection and answer any questions you might have. We appreciate your continued patronage and would like to thank you for visiting us today and for making Millsons Toys the world’s foremost supplier of quality, fun, toys for children of all ages.